Common statin drugs used by millions of Americans to lower cholesterol could become a tool in battling malignant mesothelioma, stemming from recent research in Japan that studied their potential synergistic effect on one cancer-fighting compound. A combination of statin drugs and gamma-tocotrienol (y-T3), an engineered form of vitamin E, showed for the first time in a laboratory that it can slow the growth of mesothelioma and induce cancer-cell death. Previous studies have shown that patients with a history of statin drug use had a significantly lower risk of dying from cancer. Statins already are used in combination for the treatment of breast cancer. Studies by the National Cancer Institute show that statins also can help control certain tumor growth and block cellular functions that can lead to cancer. Low-dose statin use has been shown to reduce the risk of both liver and ovarian cancers. The latest research was the first study specifically involving statins and mesothelioma. It was done by the Department of Geriatric Pharmacology and Therapeutics, within the Graduate School of Pharmaceutical Sciences at Chiba University in Japan. The study was detailed in Cancer Letters. There was a summary on PubMed.gov, ahead of the print publication. The synergistic effect that triggered apoptosis (killing of the cancer cells) was particularly encouraging. Despite the optimism surrounding the study, laboratory researchers emphasized that it could be years before this combination is approved for use in mesothelioma treatment. 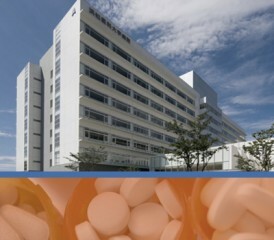 Japanese researchers used atorvastatin (Lipitor) and simvastatin (Zocor), two of the most popular statin drugs prescribed. An estimated 35 million Americans, mostly older than 40, take a statin drug. Statin drugs work by blocking the enzyme in the liver that is responsible for making cholesterol, often lowering the risk of heart attacks and other cardiovascular diseases. When combined with y-T3, statins appear to activate caspase 3, a protein that plays a key role in apoptosis. They also inhibit a metabolic pathway that is used by mesothelioma cells. Considerable research is being done on mesothelioma in Japan, particularly important after an alarming study was released earlier this year by the Hamamatsu University School of Medicine. The study predicted that there would be 66,000 deaths due to mesothelioma in the country between 2003 and 2050. The rate of mesothelioma, which is caused by exposure to asbestos, is expected to peak in Japan in 2027. Like the United States, Japan dramatically reduced its use of asbestos, but has not banned it like many European countries have done. According to the report, Japan imported more 300,000 tons of asbestos as late as 1988. Mesothelioma is expected to peak in the United States by 2020. Although neither country is using much asbestos today, the latency period between exposure and diagnosis of mesothelioma can range from 20 to 50 years. In other international news, the Halifax Courier in the United Kingdom reports that researchers there have begun testing a herpes simplex virus — engineered in the laboratory — to kill mesothelioma tumors. Viral treatments are among the many potential therapies being tried for mesothelioma; they are designed for patients who cannot tolerate traditional chemotherapy regimens. The Sheffield Experimental Cancer Medical Centre in Yorkshire is conducting the study of 12 patients; no results have been released. The virus also is being tested with brain and liver cancers.